In a small study they found that most dyslexics had dominant round spots in both eyes - rather than in just one - leading to blurring and confusion. 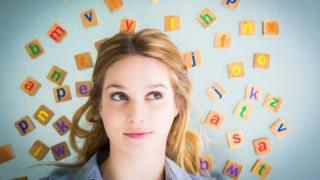 UK experts said the research was "very exciting" and highlighted the link between vision and dyslexia. They discovered differences in the shape of spots deep in the eye where red, green and blue cones - responsible for colour - are located. Researchers Guy Ropars and Albert le Floch said this lack of asymmetry "might be the biological and anatomical basis of reading and spelling disabilities". They added: "For dyslexic students, their two eyes are equivalent and their brain has to successively rely on the two slightly different versions of a given visual scene." He said the study was "really interesting" because it stressed the importance of eye dominance in reading. But he said the research gave no indication of why these differences occurred in some people's eyes. He said the French test appeared to be more objective than current tests, but was unlikely to explain everyone's dyslexia. "No one problem is necessary to get dyslexia and no one problem is behind it," Prof Stein said.